Home / local news / News / Opinion / Politics / Are you sure that impeachment is the only way to remove an impeachable official? Are you sure that impeachment is the only way to remove an impeachable official? Atty Al Oxales, a Philippine lawyer, challenges the statement made by a lot of lawyers and several senators that “impeachment is the only way to remove an impeachable official” and doing so in other ways is unconstitutional. It is a clearly narrow way of thinking since the Constitution is open to the final interpretion of the Supreme Court. And the Supreme Court’s power as an interpreter of the Constitution where they were able to remove officials without impeachment is proof that Sereno’s case in nowhere unconstitutional. The quo warranto’s prerequisites were met and the right person filed it thus following a process and the decision was ruled by majority of the Sereno’s associate justices, thus making it democratic. Proof of such methods that do not involve impeachment yet an offical was successfully ousted was the case of Funa vs. Villar R. No. 192791, April 24, 2012 where the Chairman of the Commission on Audit’s appointment was deemed unconstitutional by the Supreme Court for it violated the term limits imposed by the Constitution. Another case would be the Nacionalista Party vs. Bautista No. L-3452, December 7, 1949 where a member of the Commission on Elections appointment was also deemed unconstitutionally and the Supreme Court’s rule followed a successful ousting of the said member. Atty Ox doubts that the Intergrated Bar of the Philippines and specific law dean’s unability to publicize that these cases exist was due to their bias on the opinion that they think is best. Sadly these cases have incredibly high relevance in the defense of the ousting of CJ Sereno being Constitutional but this would clearly cause a conflict of interest in their original stance as the ousting being the latter. ARE YOU SURE THAT IMPEACHMENT IS THE ONLY REMEDY TO REMOVE AN IMPEACHABLE OFFICIAL? Many lawyers have declared that the appointment of an official, who can be removed by impeachment, cannot be ever questioned in any other action or proceeding? They absolutely insist that impeachable officials can only be removed by impeachment. They believe that once appointed, the appointment of such officials cannot be questioned anymore. However, in Funa vs. Villar R. No. 192791, April 24, 2012, the Supreme Court declared the appointment of the Chairman of the Commission on Audit as unconstiutional effectively removing the said Chairman. We all know that the Constitution provides that Members of the Commission on Audit can be removed by impeachment. But why did the Supreme Court entertain an action questioning the appointment of the Chairman of the COA? The Supreme Court declared that the appointment was unconstitutional because it violated the term limits imposed by the Constitution. In the case Nacionalista Party vs. Bautista No. L-3452, December 7, 1949, the Supreme Court declared as unconstitutional the appointment of a member of Commission on Elections, which effectively removed and prevented the said official from continuing to hold such office. In the said case, it was also held that quo warranto is the proper case that should be filed to test the validity of the right to an office. Yet, why are the law school deans and the IBP NOT informing the public about about these cases? Are such cases irrelevant? Or are they giving only one side of the issue? 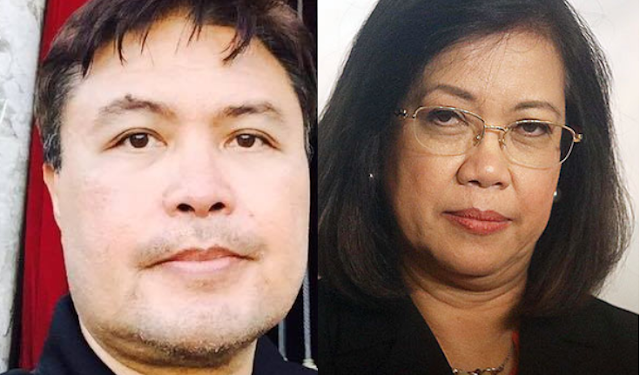 Why are they silent to the fact that Rules of the Presidential Electoral Tribunal also allow a quo warranto proceeding to question the qualifications of the President and Vice-President who are clearly elective and impeachable officials? They espouse the rule of law but only their half of the rule of law.